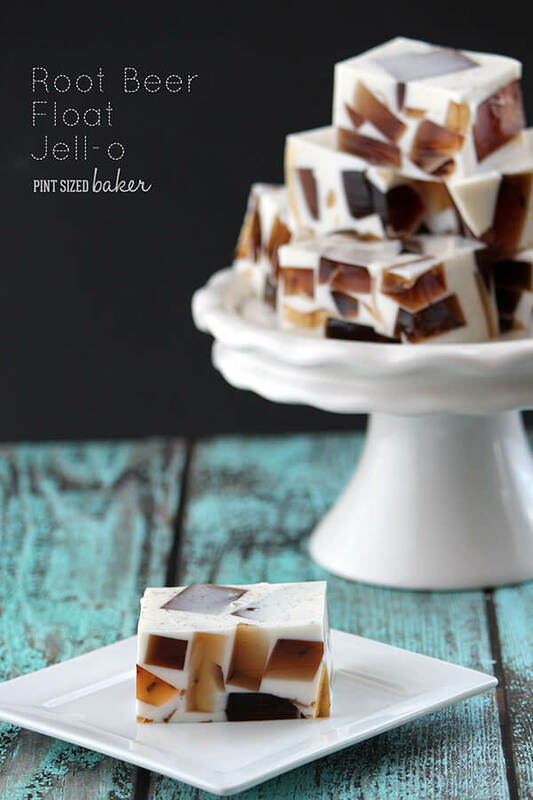 These no-melt Root Beer Float Jello treats are sure to be a summer favorite! All the flavors you love without a huge mess. Do you every have one of those days where you’d rather scrub the kitchen floors and clean and bathrooms instead of doing the work that you’re supposed to be taking care of? That’s the kind of day that I have been having. However, don’t worry, there was actually no cleaning accomplished today. I took a nap instead – lol! 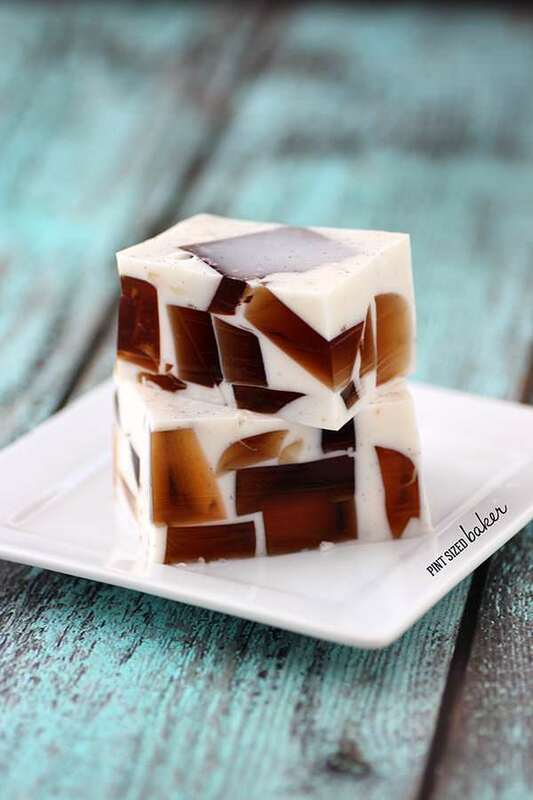 You see, you can totally make this root beer float jello and take a nap! There’s some downtime between layers, so you can doze while you make dessert. Win-Win! But I had these awesome Root Beer Float Jell-o treats that I’ve wanted to share, so instead of making a Native American Headdress for the school play, I’m getting this post done… of course, it was after I painted my toenails, and had a snack, picked up my kid from school, and edited a bunch of photos for future posts… sorry. I loved this!! LOVED I tell you! That’s real root beer and real ice cream that I’ve magically changed into finger jello! I reluctantly gave some of it to my In-Laws, but I ate most of it. My crazy family didn’t want it, but my daughter did drink the rest of the 2 liter bottle. 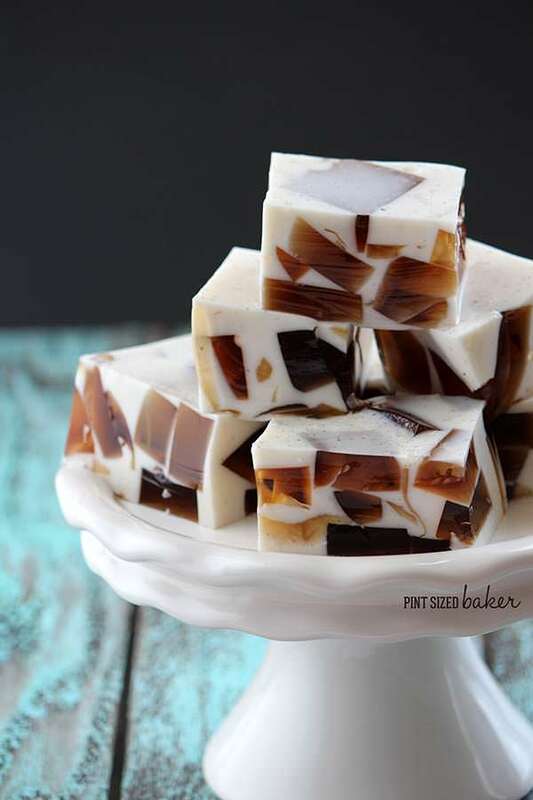 These no-melt treats are sure to be a summer pleaser! I’m definitely gonna be making these again! I hope that you enjoy them! Did you know that you can use Root Beer in your savory dinner dishes too?? Try this Pulled Pork Sandwich with Root Beer BBQ Sauce recipe. And these Root Beer Chicken Wings sound great for the summer! Finally, this Root Beer Glazed Ham would be perfect to serve for the holidays. Enjoy a root beer float without a mess! 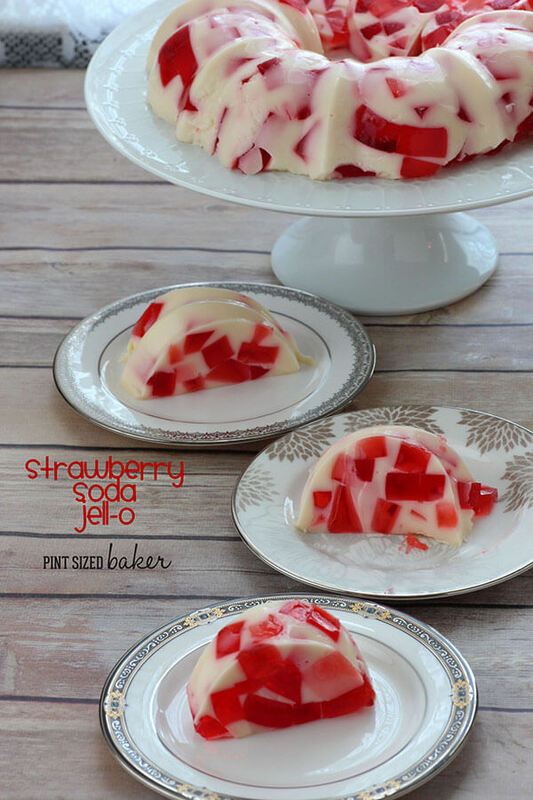 This jello is a fun summer treat that everyone loves! 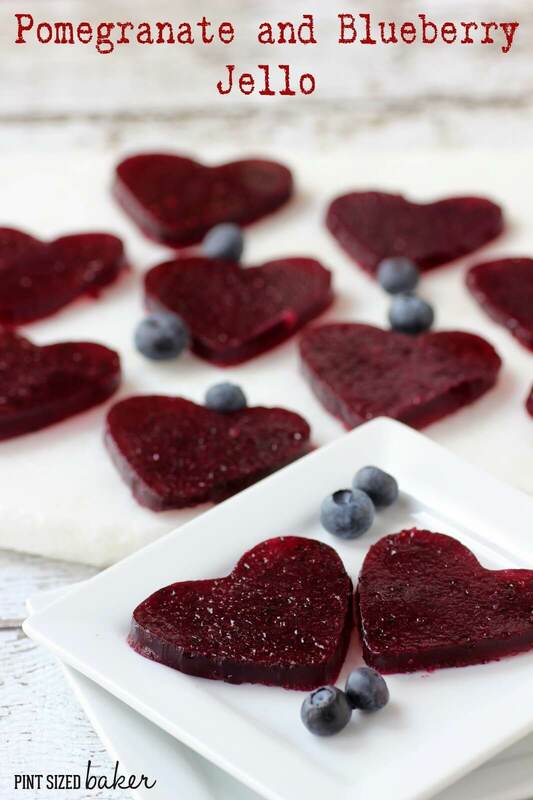 Sprinkle the 2 packets of gelatin over the cold water and let it sit until it’s absorbed and softened. Pour boiling water over it and stir until dissolved. Add in sugar and root beer and combine. When the sugar is completely dissolved, pour into a 9×13 baking dish and refrigerate for at least 4 hours. Cut into cubes and transfer to an 8 x 8 baking dish. Store in the fridge while making the ice cream layer. Sprinkle 3 packets of gelatin over cold water and let it sit until it’s absorbed and softened. Pour boiling water over and stir until dissolved. Add in sugar and stir then set aside. Place the 2 cups of ice cream in a small pot. Melt it over medium heat on the stove, or in the microwave, until it’s liquid. Stir the melted ice cream into the gelatin mixture then let it sit to come to room temperature. 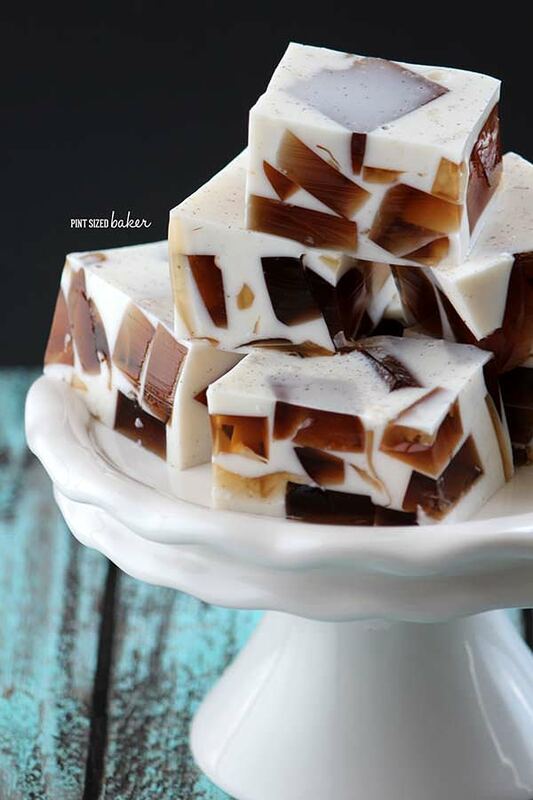 Pour the ice cream over the root beer cubes and refrigerated overnight. 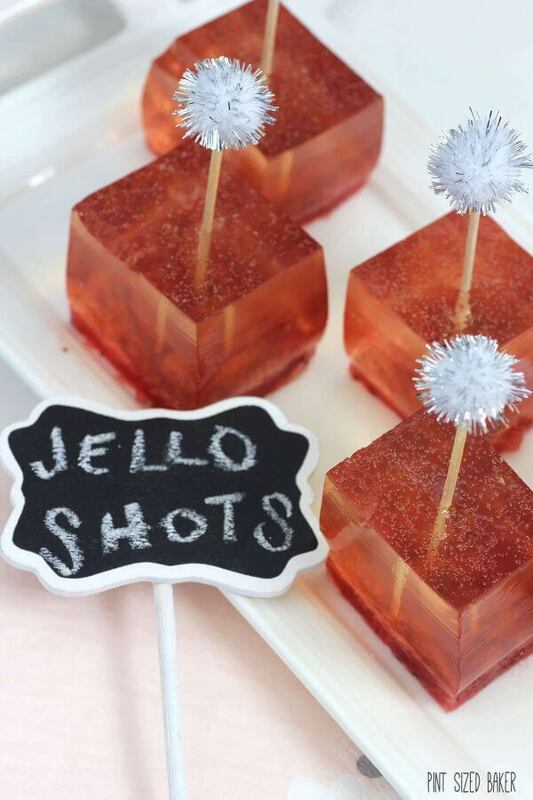 Cut into cubes and serve them up for a no-melt treat!